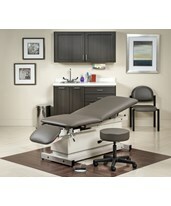 Tiger Medical brings to you complete and customizable exam room furniture of the highest quality and style. 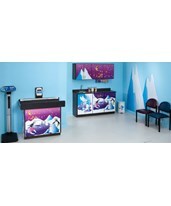 Choose ready-made color coordinated packages or choosa personalized options to suit every type of exam room. 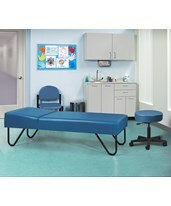 Options include a multitude of upholstery colors, laminate options and handle features. 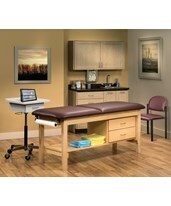 Tiger Medical is here to help you design your exam room, offering complete solutions to clinical space. 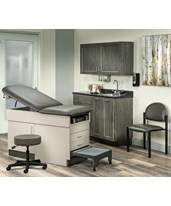 The Ready Room Complete Exam Room Package includes all the basics for an exam room, with 5 upholstery colors. The Clinton Complete Exam Room Package offers doctors the option of customizing their exam room to suit their needs and tastes. 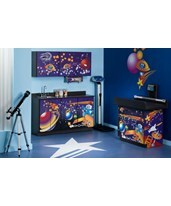 Choices range from 2 - 4 door cabinets and up to 6 drawers. 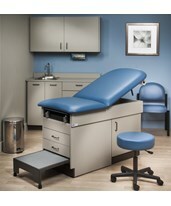 Numerous exam tables are available with colors to coordinate any décor. Stools, side chairs, and waste baskets are just a few of the accessories to complete each package. Tiger Medical supplies products from top manufacturers and trusted brands that have been producing and distributing medical supplies for decades. 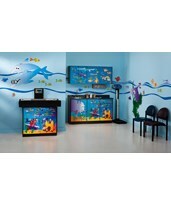 Please feel free to contact our knowledgeable agents who can help you plan and design exam room. 8248 Wall Cabinets in Fossil color- 48" X 12"
Includes exam scale table, complete cabinets, complementary paint & floor color recommendations.